Big changes begin with every tiny actions. 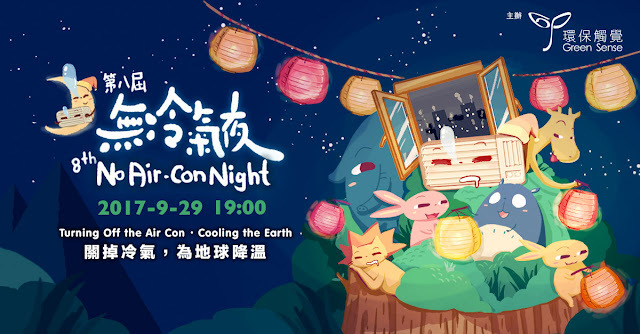 No Air Con Night aims to inspire citizens by turning off the air conditioning for one night, reflecting how their habit rapidly affect our natural environment. To stop global warming and its environmental impacts, it is never too late! “Hong Kong No Air Con Night” is a territory-wide energy saving campaign to promote the wise use of air-conditioning. In these 8 years, Green Sense aims to bring out the importance in reducing greenhouse gases and saving energy through this event. It is clearly shown how the public and private collaboration in maintaining the momentum on energy saving. Air-conditioning accounts for 60% during July to August and 30% of all electricity usage in Hong Kong in one year. Since 2010, “Hong Kong No Air Con Night” was a resounding success with the generous support from citizens, the business community, education institutes and political parties. With reference to the pledge collected from the general public, over 80,000 households joined and turned off the air conditioning at home and hostels. We sincerely invite all citizens in Hong Kong to switch off their air con on 29th Sep 2017, suggesting from 7pm to 7am the next day.